MOREBY J Pte Natal Carb. He was killed in action during the Battle of St Quentin, in the Somme, on 23 March 1918. He was 41. He was killed in action on 22 November 1915 in the Mesopotamia Campaign against the Turkish Army. He was 38. On 30 December 1915, HMS Natal, was lying in Cromarty Firth. Shortly after 15.20 hours violent explosions tore through the ship. She capsized within minutes. The exact number of casualties is still debated and ranges up to 421. Some were killed in the immediate explosions, others drowned as the ship capsized, others succumbed to the freezing water. The most probable explanation of this tragic loss of life was that a fire had broken out that had ignited a magazine. There was a huge speculation about the loss but underwater inspection revealed massive damage from an internal explosion. Sabotage by German agents was suspected but never proved. His records reveal: Army Reserve 11 December 1915; Entered 28 August 1916; Draft for BEF 6 March 1917; joined Anson Battalion; 24 March, 9 May 1917 he suffered from Pyrexia (fever). He re-joined Anson Battalion on 30 September 1917 and was killed on 6 November 1917. He was killed in action during the Battle for the Ancre in the Somme on 13 November 1916. He was 23. He died of the wounds he received during the fighting at the Menin Road Ridge during the Battle of Ypres on 25 September 1917. He was 29. Private, 3rd/4th Battalion, The Queen's (Royal West Surrey Regiment) attached to 9th, 4th and 12th Divisions. Army no. Private, 5th (Service) Battalion, The Oxfordshire and Buckinghamshire Light Infantry, 42 Brigade, 14th Division. Army no. 235064. 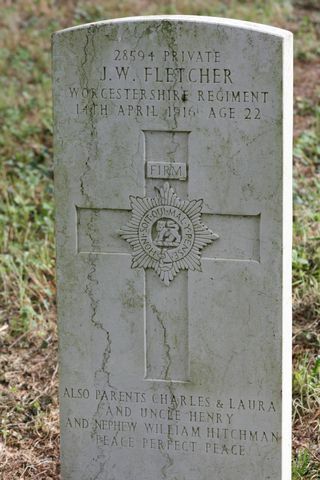 He was formerly with the Queens Own Oxfordshire Hussars. 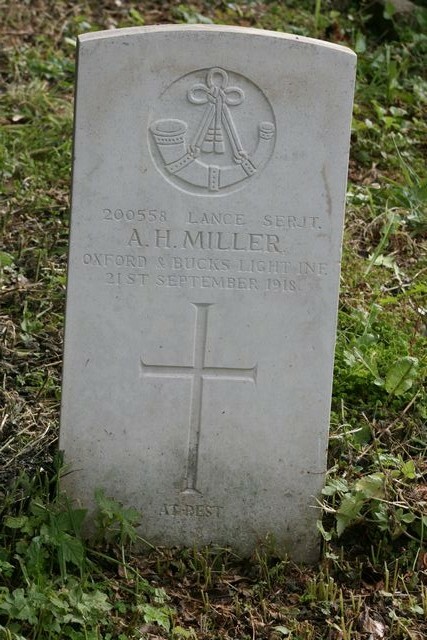 He was killed in action near Ypres on 5 August 1917. He was 25. 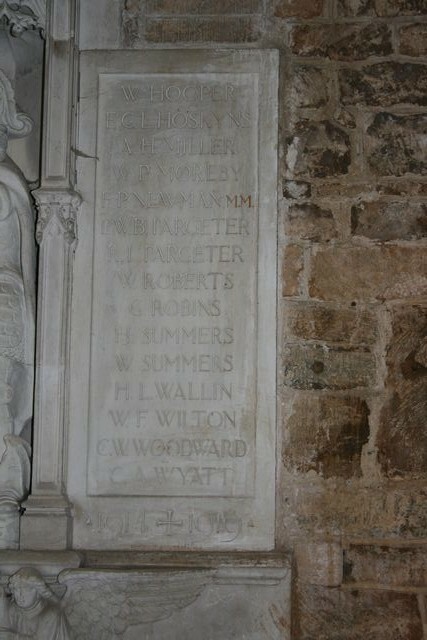 He was the son of John and Sarah Elkerton of Adderbury West. Lieutenant Colonel, 1st Battalion commanding 8th Battalion, Northumberland Fusiliers, 148 Brigade, 49th Division. He was the son of Joseph and Mrs Fishbourne of Ashfield Hall, Co. Carlow and the husband of Elizabeth L Fishbourne of Edenbridge, Kent. He served in South Africa during the Second Boer War and was involved in the Battles of Belmont and Omdurman where he was wounded. In 1914, he was a Major and commanding the Northumberland Fusiliers depot in Newcastle according to the Oakham School Magazine and it is recorded that the 1st Battalion had landed at Le Havre on 14 August 1914. Jim W Fletcher was killed on 14 April 1916 at Southsea when he fell from the shafts of a wagon and was killed instantly. 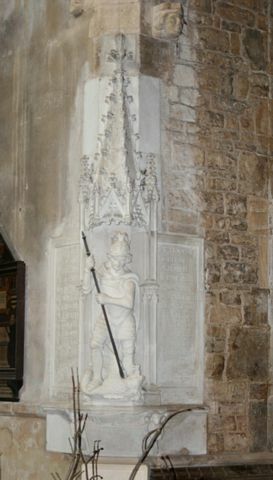 His brother Jack, sister Hannah and the undertaker went to Portsmouth on 16 April and brought his body to Adderbury where he was buried on the 20 April There is also a plaque in his memory in Adderbury Methodist Chapel. 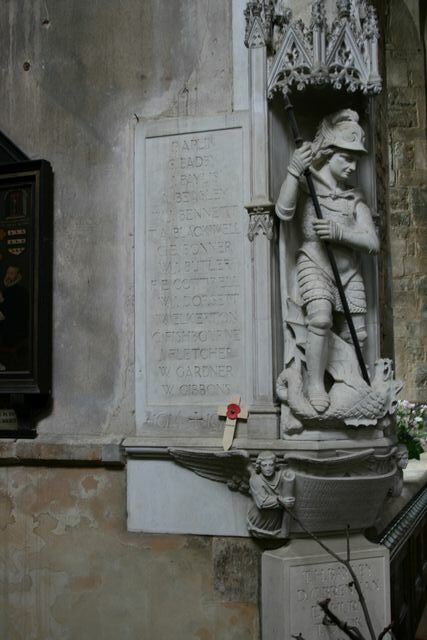 He was the son of Polly Gray formerly Gardiner and the stepson of George Gray. the Channel ports. He was 24. He is buried in the Churchyard of St Mary the Virgin, Adderbury. 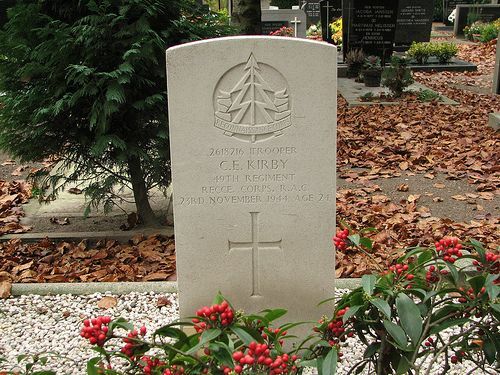 He was killed in action on during the Battle for Delville Wood, Somme on 30 July 1916. He was 23. 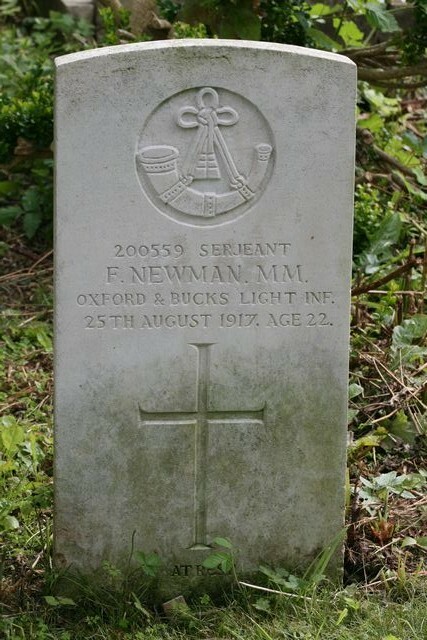 He was the son of Samuel and Agnes Newman of Adderbury. He was killed in action on 19 May 1917 in the fighting in the Somme. He was 23. He was serving on HMS Martin, an M Class Destroyer built by Vickers Armstrong and commissioned 4 April 1942. She was lost on 10 November 1942 when she was torpedoed and sunk by the German submarine U431 northeast of Algiers. 161 officers and men went down with the ship. There 63 survivors. 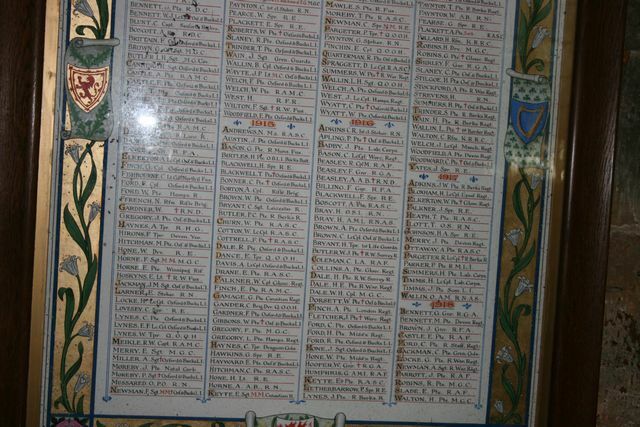 He was the son of John and Violet A Brennan of Adderbury West. 40 Squadron was based in Italy where it was able to add the Balkans and Northern Italy to its targets. On 6/7 July 1944 it attacked the German fighter base at Fels am Wagram in Lower Austria. 47 bombers (Lancaster, Wellington and Halifax) attacked the base. No less than 13 of the bombers were downed by German night fighters. Klagenfurt War Cemetery is the only War Cemetery in Austria and many British Prisoners of War are also buried there. Guardsman, 3rd Battalion, Coldstream Guards. Army no. The invasion of Italy. The 3rd Battalion landed at Salerno as part of the 201st Guards Brigade, and on 10 September it was involved in heavy and confused fighting which lasted four days, until it was established in the line of a canal four miles inland. Tom Cook was based at Upper Heyford but they were flying from the relief airfield, RAF Barford St John, whilst new runways were prepared at Upper Heyford. Warrant Officer Ernest Smith, flying a Wellington from 16 Operational Training Unit at Upper Heyford, got into a spin in cumulo-nimbus cloud ten miles east of Southwold. At 2,000 feet he ordered his crew to bale out. They were still over the sea, but three of them jumped. They had been within sight of the coast as they parachuted down but the most intensive search failed to find them. The evacuation by sea from Dunkirk took place from 27 May to 4 June 1940. 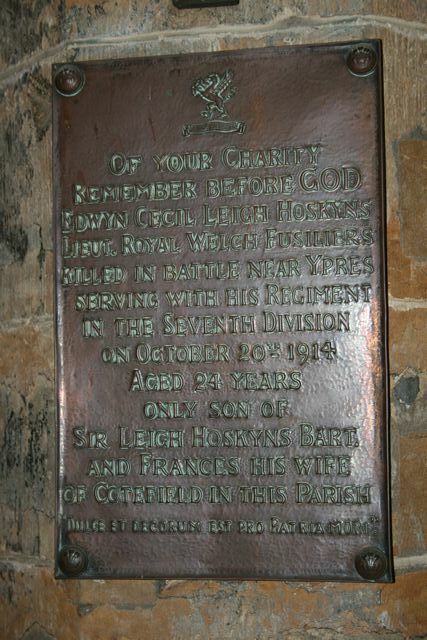 His brother’s Regiment, The Glosters played a key role. The 2nd Battalion went to the hilltop town of Cassel and the 5th Battalion to the small village of Ledringhem. Here they were told to hold these villages to the ‘last man, last round’. He was the son of Robert and Winifred Ann Dunkley and the husband of Elizabeth Dunkley of Cambridge. 166 Squadron was based at RAF Kirmington, Lincolnshire and was a bomber squadron flying Wellingtons. Wellingtons, 80 Stirlings, 10 Mosquitos - on the largest 'non-1,000' raid of the war to date and the first major attack on Dortmund. 31 aircraft were lost - 12 Halifaxes, 7 Stirlings, 6 Lancasters, 6 Wellingtons, over 5% of the force. A further 7 aircraft crashed in bad weather at their bases. 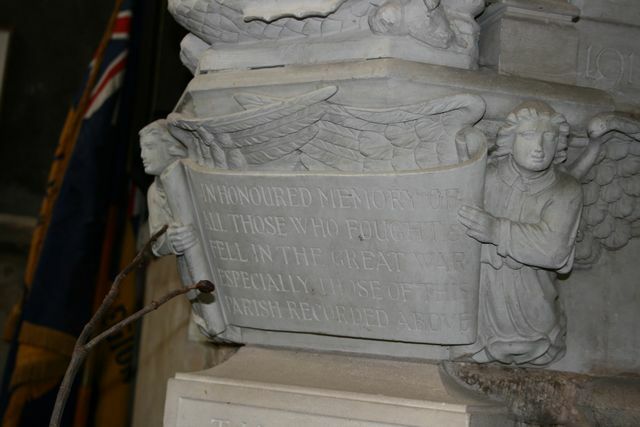 He is remembered on panel 45, column 2 of the Portsmouth Naval Memorial. On 10/11 April 1941, she and HMS Jervis, HMS Janus and HMS Nubian arrived at Malta. On two night patrols nothing was sighted, however, on 15 April, Allied reconnaissance located a Tripoli bound convoy off Cape Bon and a battle ensued. merchantman. Just as the destroyer opened fire, she was hit on the starboard side by a torpedo from the Italian destroyer Tarigo. The whole of the stern from the superstructure aft was blown away and Mohawk was awash as far as 'X mounting. The crew of 'Y' gun and the supply party were all killed. 'A' and 'B' guns continued firing on the merchantman and set her on fire despite being motionless in the water. Just as the destroyer made an attempt to get under way, a second torpedo arrived hitting portside. No. 3 boiler burst, scalding people on deck. The centreline of the upper deck opened, allowing the torpedo tubes to fall into the engine room and crushing the watch below. Banbury Guardian Thursday December 21 1944.
have received notification that their son Trooper Cecil Ernest Kirby was killed in action in November. 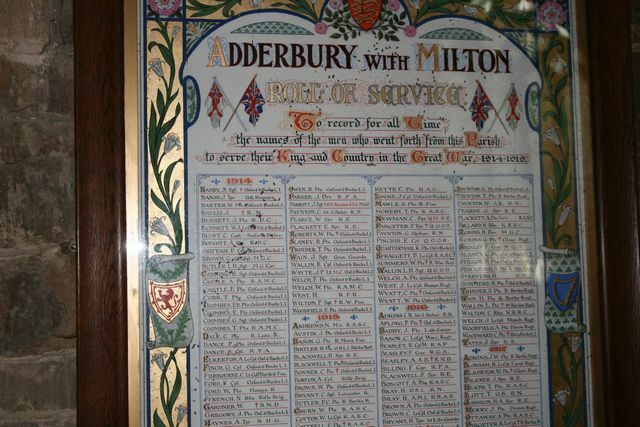 He was very well known and liked in Adderbury where he was once a member of the Parish Church. HMS Hunter was part of the 2nd Destroyer Flotilla in 1st Battle of Narvik. She, with HMS Hardy, HMS Havock, HMS Hostile and HMS Hotspur carried out a successful attack on German destroyers. Two of these German destroyers, Anton Schmitt and Wilhelm Heidkamp were sunk as well as several merchant ships. hit from gunfire from the destroyer Georg Thiele. Out of control, she drove ashore on the southern side of the fjord. Norwegian fjord, 68 years after she sank during battle. HMS Hunter has remained undisturbed since April 1940 when she sank, killing 110 people during the Battle of Narvik. control vessel on a multinational training exercise. The site will be marked as a war grave on Saturday. Major General Garry Robison said finding HMS Hunter had been a "poignant moment". HMS Hunter was one of two Allied destroyers lost during the first Battle of Narvik - the Germans lost four destroyers. husband of Elizabeth M Finch, 11 Poplar Road, Botley, Oxford. Private,1st/4th Battalion, The Oxfordshire & Buckinghamshire Light Infantry, 145 Brigade, 48th Division. Army no. 200188. Pozières Ridge on the Somme. He was 37. Corporal, The Manchester Regiment. Army no. 43091.